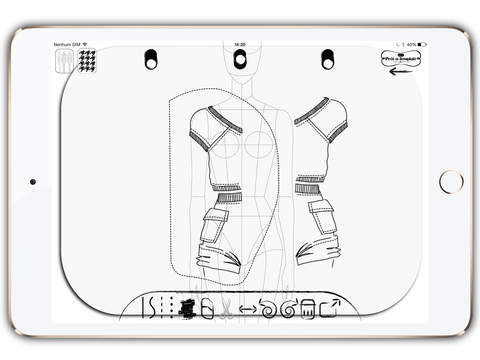 Prêt-à-Template is the name of a project idealized by Beta Weiand, Designer and Fashion Teacher, which aims to show the value of fashion sketches and the importance of improving the fashion drawing teaching tools. The App was designed to provide the ability of sketch fashion efficiently without complexities, very intuitive, is easy to master the tools: manipulating outline and fill brushes, cutting and pasting pieces of drawings, adding patterns and sewing thread, the user creates an original new fashion idea! 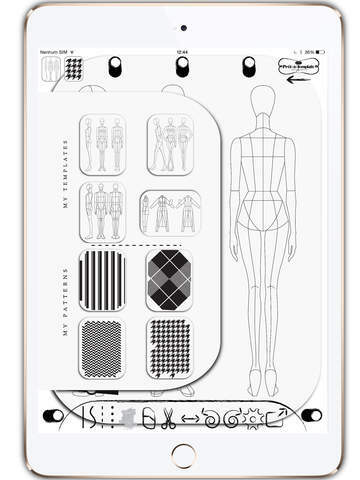 Switch of the templates and you have your sketch in a white canvas! Make from your ipad your fashion notebook / sketchpad and carry with you, your own creative portfolio! The App serves as a teaching tool: connecting the Ipad in to the projector (via a VGA cable) the teachers are able to present the whole process of fashion drawing in an easily way more detailed (zoom) and with excellent visibility to all students!